"[If] you're standing still, you're moving backwards. We’re not interested in putting the city back where it was pre-Harvey." Prior to the one-year anniversary of Hurricane Harvey in August, Houston Chief Recovery Officer Marvin Odum and Greater Houston Partnership President Bob Harvey told Smart Cities Dive about the city's recovery process following the devastating superstorm that dropped one trillion gallons of rainfall across Harris County in four days. 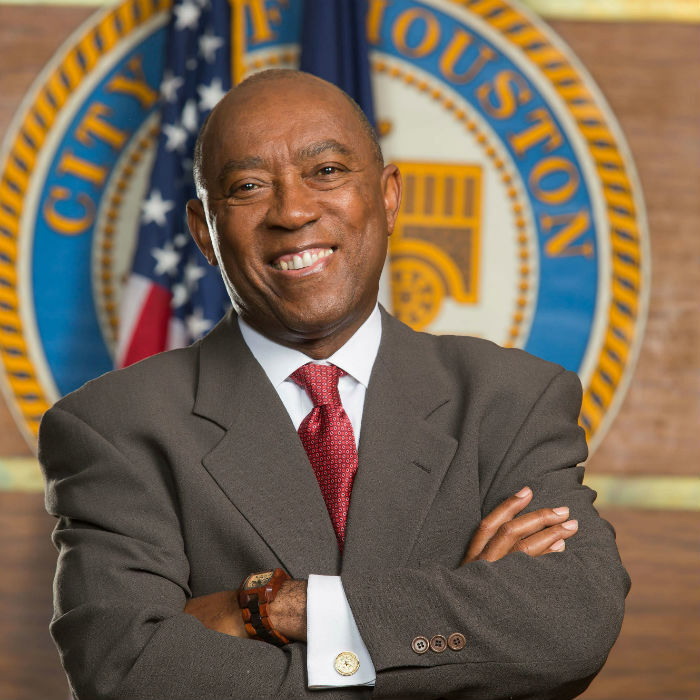 When asked what immediate resources the city utilized to get back on its feet, neither Odum nor Harvey pointed to money or supplies, but instead to leadership — specifically from Mayor Sylvester Turner. Since starting his four-year term as mayor in January 2016, Turner, a born and raised Houstonian, has prioritized the city's resilience and quality of life for all residents, which was especially apparent following Hurricane Harvey. He said the city has faced three "500-year storms" in the last three years — two of which were under his administration — and with every natural disaster comes a deeper understanding of how to prepare for the next while still prioritizing residents. “You need to be very candid and straightforward," Turner told Smart Cities Dive. "We recognize that these storms are coming with more intensity … And if you're standing still, you're moving backwards. We’re not interested in putting the city back where it was pre-Harvey." To push the city forward, Turner focused on essentials for storm mitigation: new floodplain construction standards, flood warning systems such as cameras and sensors, and assisting the passage of a $2.5 billion bond package to be used on flood-control measures. The concept of "building forward" has echoed throughout the city's leadership this year; however it doesn't just apply to how the city is recovering from Harvey. Turner has spent his time in office also positioning the city as a hub of innovation, most recently helping to develop the city's Innovation District in collaboration with Rice University, and overseeing the growth of Houston Exponential, an organization focused on developing the innovation economy in Houston. These initiatives have put Houston in the spotlight this year, especially among competitive tech markets. An October report on tech cities from Cushman & Wakefield listed Houston as a "city to watch," noting the city's energy and biotech industries will propel the city forward. Additionally, Houston this year welcomed the Flatiron School, which launched its campus because it "believe[s] in the vibrant tech community currently in the city," particularly as it relates to oil and gas. And while Turner doesn't aspire for Houston to become the next Silicon Valley, he touts the city as a "Silicon Bayou," welcoming an influx of new tech talent this year alone. Turner said that the city's diversity — one in four Houstonians is foreign born — also lends itself to the unique innovation opportunities that Houston has to offer. Moving forward, Turner says harboring this diversity and giving all city residents avenues to prosper will be a top priority. "If we want to take advantage of the diversity, if we want to uplift all of our communities and neighborhoods so they’ll be communities of promise regardless of where you live in the city, then we are going to have to be visionaries, be bold, be transformational," he said. "We don’t do that by just patting ourselves on the back for the accomplishments that others have pioneered. The baton has been passed."